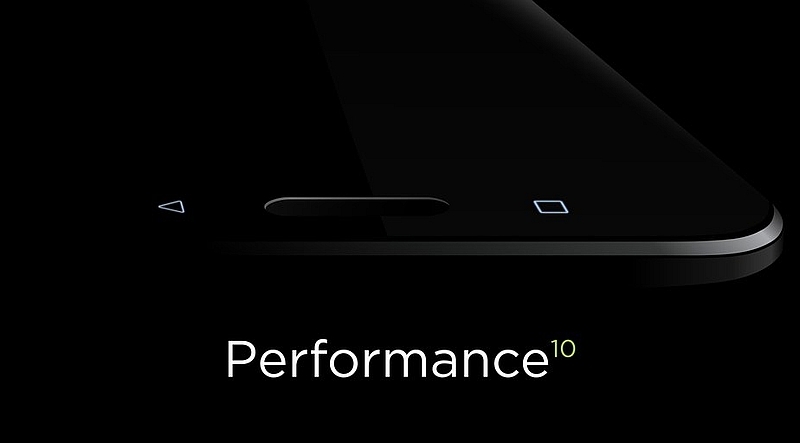 Ahead of the April 12 launch, HTC has once again teased its upcoming flagship – anticipated to be called the HTC 10 – talking about its performance. In the meanwhile, the handset allegedly now passed the GFXBench benchmark, revealing its specifications. HTC India on Tuesday tweeted a teaser image of the HTC 10 showing the physical home button, and the two capacitive touch buttons at the front below the screen. “Not all phones are created equal. The fastest and smoothest Android. You’ll feel it,” the tweet mentioned. In the meanwhile, as per the alleged HTC 10 listing on GFXBench, the smartphone will run Android 6.0.1 Marshmallow out-of-the-box. It will feature a 5.1-inc QHD (1440 x2560 pixels) resolution display and will be powered by the quad-core Qualcomm Snapdragon 820 processor, clubbed with 4GB RAM and Adreno 530 GPU. The listing also suggests the HTC 10 to house 32GB inbuilt storage, along with an 12-megapixel rear autofocus camera with face detection and LED flash, and a 5-megapixel front-facing camera. While the rear camera can record videos in 4K resolution, the front-facing camera can record videos in 2K resolution. Nothing more has been mentioned about the device. The specifications too corroborates with the ones previously rumoured. HTC will be launching the smartphone on April 12 and is expected to bring the device to markets by April 15. The rumoured release date however, is only for Taiwan. The handset is also said to arrive in three variants, all of which will be launched at the same event. All three HTC 10 variants will reportedly sport a 5.15-inch QHD (1440×2560 pixels) resolution Super LCD 5 display, 12-megapixel rear camera with dual-tone LED flash, OIS, and a laser autofocus mechanism, and a 3000mAh battery. All will run Android 6.0 Marshmallow out-of-the-box with the Sense 8.0 skin on top. However, they are said to differ based on the processor, inbuilt storage, and RAM.